Despite having no Thanksgiving in the U.K., that isn't stoping cellular retailer Phones4U from jumping in on the Black Friday sales fun. Black Friday is the day after the U.S. Thanksgiving holiday, but it has begun popping up in other parts of the world as well as the phrase has grown in recognition. To that end Phones4U will be running some specials in the U.K. on Friday, Nov. 29, and then again on Monday, Dec. 2 for Cyber Monday. For current pay as you go clients, just head over to the Phones4u prizes site and enter your devices IMEI number to see if you have one of over £1 million in prizes including TVs, gaming consoles, cameras, tablets and more. No purchase necessary, just know where to locate your devices identification number and you're good to go. As for the actual sales, you'll be able to get a £15 discount on certain pay as you go phones on Friday. There will also be some deals on contracts for those that are looking to make a bit more of a commitment. You can check out all of the details in the press release below to see what you can expect form Phones4u over the next few days. GET YOUR CHRISTMAS GIFTS THIS BLACK FRIDAY AND CYBER MONDAY AT PHONES 4u, AND GET MORE THAN BARGAINED FOR WITH EXTRA TREATS TOO! 28th NOVEMBER, 2013: Black Friday and Cyber Monday are fast approaching, but don't panic! Phones 4u is frolicking in festive goodness, with oodles of spectacular Christmas gifts, exclusive offers and amazing deals across both Pay as You Go and contract plans to be snapped up before presents go under the tree this year. 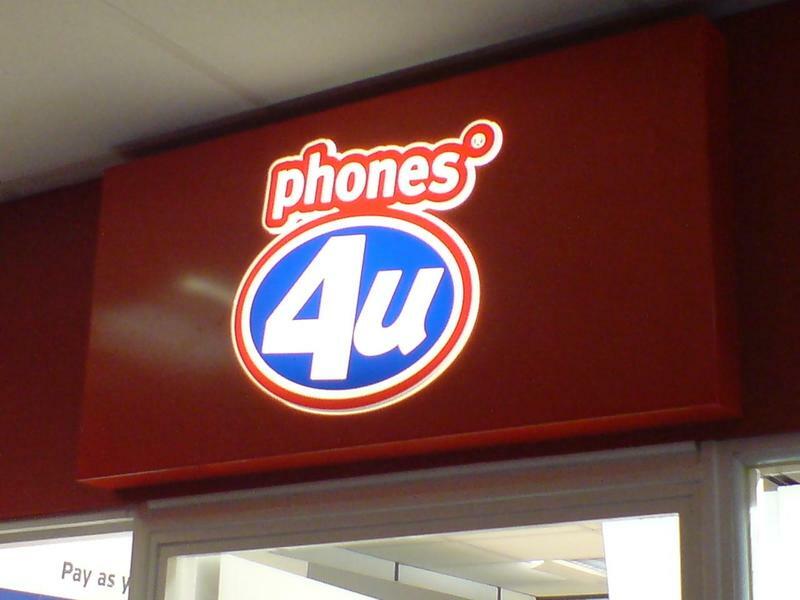 At Phones 4u we're celebrating the festivities in style, with our biggest ever giveaway for pay as you go smartphone purchases this December. Over a whopping 2,000 gifts have been won so far, but we still have heaps up for grabs. With some of the most extravagant gifts still to be won, including an amazing fast car, what are you waiting for? The £1 million worth of gifts are sure to spread tonnes of joy, with other guaranteed gifts including Sony TVs, PlayStation 4 and Microsoft Xbox One games consoles, the latest Samsung tablets, Phones 4u Arena VIP tickets, Samsung Galaxy Cameras, Phones 4u accessories vouchers and even a car to drive away into the new year! It couldn't be easier to claim your gift too – all you have to do is log on to prizes.phones4u.co.uk, after receiving your 'Everyone's a Winner' guaranteed win scratch card, with participating pay as you go smartphone purchases, to find out which Christmas gift you've won. We're also giving you up to £15 off selected pay as you go smartphones this Black Friday, such as the new Motorola Moto G 16GB at £139.95, the Samsung Galaxy SIII mini at £139.95 and the Galaxy Y at £39.95, the Nokia Lumia 620 at £114.95, the HTC 8S at £109.95 and the Sony Xperia Miro at only £89.95. The fun doesn't stop with pay as you go, as we also have some cracking limited edition Christmas deals with contracts too. Get your hands on one of the hottest smartphones bundles this Christmas, the amazing Samsung Galaxy S4 & Galaxy Gear – available at Phones 4u online* from just £37 per month on Vodafone, with unlimited minutes, texts and 1GB data so you can keep chatting all year long! Or how about a free White Samsung Galaxy Tab 3 7" and S-View Case when you buy the Samsung Galaxy Note 3? Get it on a 4G plan and you'll also receive a free wireless speaker making the complete bundle of free gifts worth over £300! Lead a more active lifestyle? Pick up the Samsung Galaxy S4 Active on the UK's lowest price – free from £21.99 per month on Orange, with 500 minutes, unlimited texts and 250MB data too. Fancy a new smart watch to keep you connected to your smartphone? Purchase the Sony Xperia Z1 on any tariff at Phones 4u online*, and get a free Sony Smartwatch 2 worth £149.99 PLUS, sign up to 4G and you'll also get a free wireless speaker worth £120 to play all your Christmas tunes.